Amanda and Mallory decided they would volunteer together. 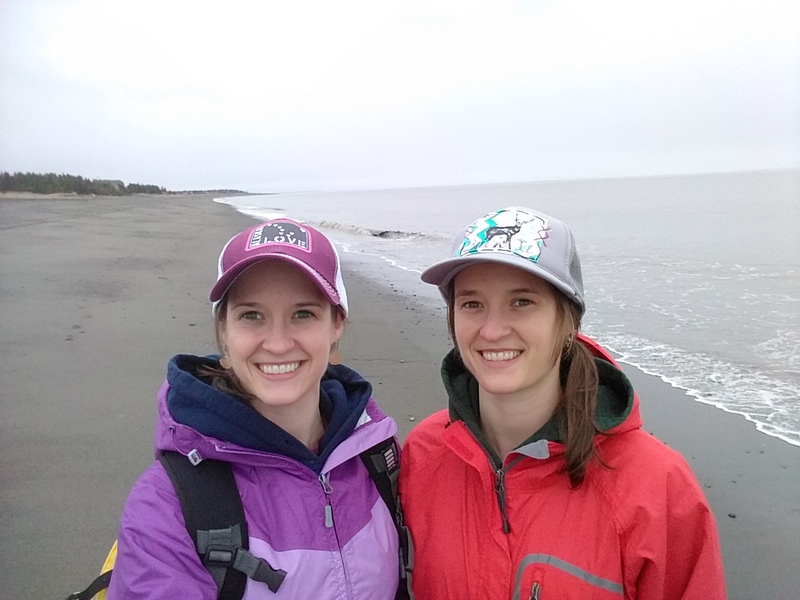 Working as a pair would help motivate them, especially, as Mallory says, “when the weather is gnarly.” And it is often gnarly on the Kenai Peninsula. Their survey beach—Cannery Beach North—can go through great seasonal transformations, from a flat sandy plain in the summer to one covered with snow and ice blocks in the winter. 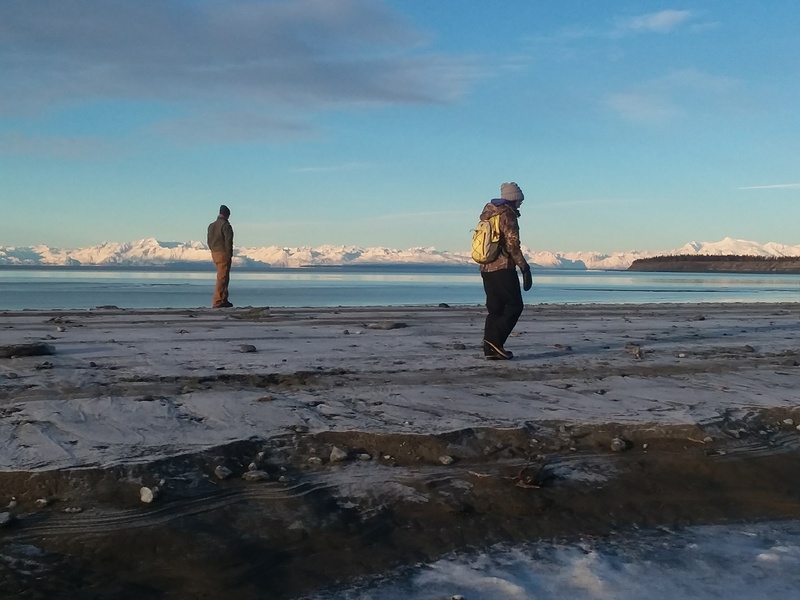 “The beach becomes a totally different landscape once the snow starts to melt,” Mallory says. Although COASST was the Millays’ first real foray into citizen science—“We did some beach cleanups and things before, but nothing like this,” Mallory says—it was hardly their first exposure to the ocean. They grew up mostly in Ketchikan, and spent a lot of time on the water as kids. Amanda later worked with seabirds in college and completed an internship with the U.S. Fish and Wildlife Service at St. Lazaria Island, about twenty miles west Sitka. 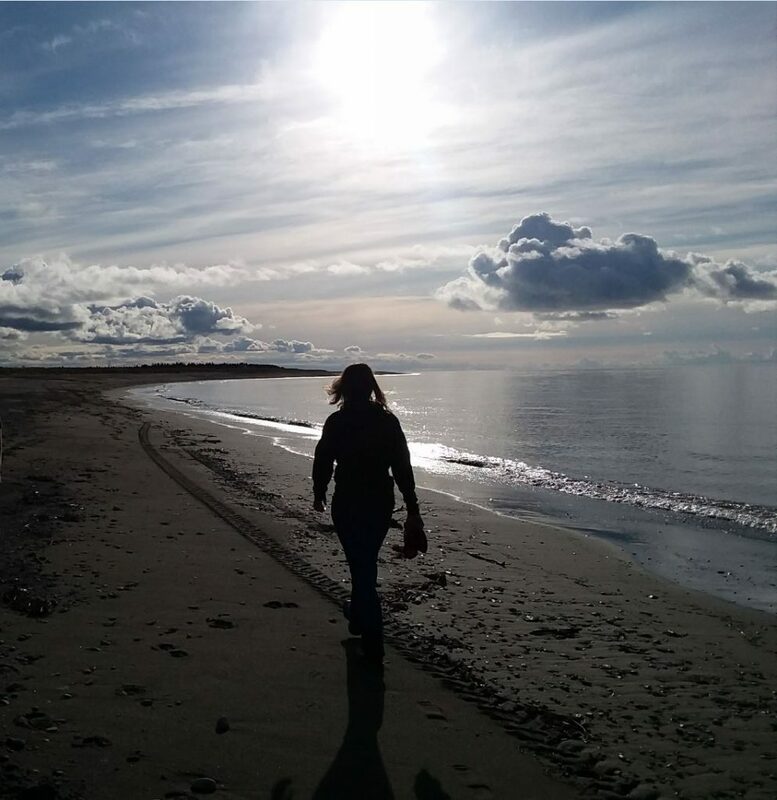 She now works on water quality issues for the Alaska Department of Environmental Conservation. Mallory, for her part, majored in geography and environmental science in college, and did some work for Conservation Northwest down in Washington. She now works for the Alaska State Troopers. This, then, is another of Cannery Beach North’s great swings: the empty beach in the winter, the packed beach in the summer. Through it all, the Millays go out and search for birds. “People do all sorts of crazy things on the beaches, so no one pays us any mind,” Amanda says. “Someone might give us a funny look, but no one has stopped yet.” Once, a person thought they were playing Pokemon Go, what with the way they were scrutinizing the sand. COASST is fortunate to have such hard working,talented observers, as Amanda & Mallory, helping with your important work. They do at times invite others to join them on their survey walks. More eyes, more awareness.